Bluehost is rightfully the market leader in budget hosting. I’ve used them for many projects and will continue to do so. The one-click WordPress install makes setting your site up a breeze (plus, you can use my 5-minute WordPress and Theme Installation Video Tutorial!). WordPress is the industry standard of blogging and one of the most powerful tools you can use in setting up your blog. When your site grows, you’re going to need more power than a budget host provides. There are lots of options, but we prefer a managed WordPress host. Not only will you have a full support staff specialized in WordPress, but your overall costs will end up being cheaper than purchasing the necessary services on your own. The best part? Your site will be lightning fast. This is huge for SEO purposes, but even more important in making sure your viewers have a delightful experience. This is the service we use on Minimalist Baker. Genesis is quickly becoming the go-to framework and WordPress theme package. In fact, many custom designs usually start with Genesis as a basis. The framework provided makes all the technical details run smoothly on your site and the theme makes your site look sharp very quickly. Minimalist Baker is built on top of the Genesis framework paired with the Metro Pro Theme. I’d start by finding a theme that is the closest to the way you want your site to look and tinker from there. Elegant themes provides a subscription based service that allows you to use any of their themes for a single fee. They are still some of the most aesthetically pleasing WordPress sites available. In fact, this is still what we use over on My Little Celebration. The best part of using Elegant themes is that you will get your site setup in a matter of minutes. Theme Forest has served me well when I’m working with a very specific project in mind. There are great foodie themes here, but you have to search for them. I don’t like that there isn’t usually a common framework (like Genesis), but if you find a theme that fits your style better than anything else, I suggest going this route. I’ve happily used Theme Forest many times and will continue to keep it as a valuable resource. MailChimp is now the industry standard in email delivery service. It has a great design, makes your emails look slick, and has great delivery rates. We use MailChimp for our emails at Minimalist Baker and are thrilled with the service. The best part? Their entry-level package is free! You can get all the bells and whistles of a great service without paying a dime. Oh my word. I can’t tell you how awesome this service is. I grew up buying the adobe suites after they were generations old (it was the only way to get this software affordably, absent just stealing it). If you bought the entire creative suite outright, you’d drop a solid $2,500. Yeah. The creative cloud service operates on a monthly membership and gives you the updated and best versions of all the adobe software. At $50/month, it’s really a steal. Better yet, there are some education and upgrade discounts available to certain users. E-junkie is a fast way to start selling things through your site. If you have an ebook or pdf you’d like to sell, you can upload it to their site and start selling it right away. They also allow you to collect commissions selling products uploaded by others. My favorite part about this service is that you can set it up in a matter of minutes. It’s all hosted offsite, so you don’t have to worry about security and making sure the details are safe. It’s hard to explain my history with this company. I’ll keep it brief. These guys have had a huge impact on the ideas that shaped Minimalist Baker. They gave us insight to ideas before anybody else was talking about them. They offer a membership with ridiculously awesome video interviews to help you build an incredibly successful blog. I’m a member and love it. I can’t recommend them enough. 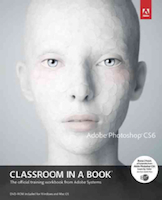 We’ve used Adobe’s Photoshop Classroom in a Book as a quick way to use the tools we knew were “industry standard,” but also ridiculously complicated. In short, this little resource helped us figure out photoshop way faster than if we were just tinkering around. They also have great books on Adobe Illustrator and Adobe InDesign.